This application is based on a community website (wiki) dedicated to Suzanne Collins' best-selling novel series The Hunger Games. 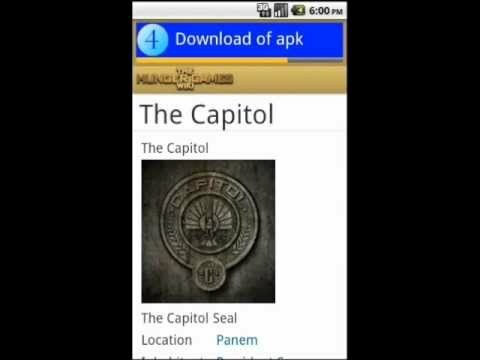 Application unofficial based on The Hunger Games Wiki to help the user to browser on the pages. This application uses material from the "The Hunger Games Wiki" articles on The Hunger Games Wiki at Wikia and is licensed under the Creative Commons Attribution-Share Alike License.